All parking on campus is paid parking seven days-per-week. Purchased day/week/monthly SDSU parking permits are NOT valid in any labeled “SP” special spots. Semester parking permits are available for purchase from the Aztec Parking Portal. Aztec Recreation Center will be on your right. After exiting the structure, walk North on 55th Street. The Aztec Recreation Center will be on your right. Lot 8 will be on your right. Lot 8 is directly behind the Aztec Recreation Center. Keep right and merge on to Aztec Circle Drive. Structure 12 will be on your left. 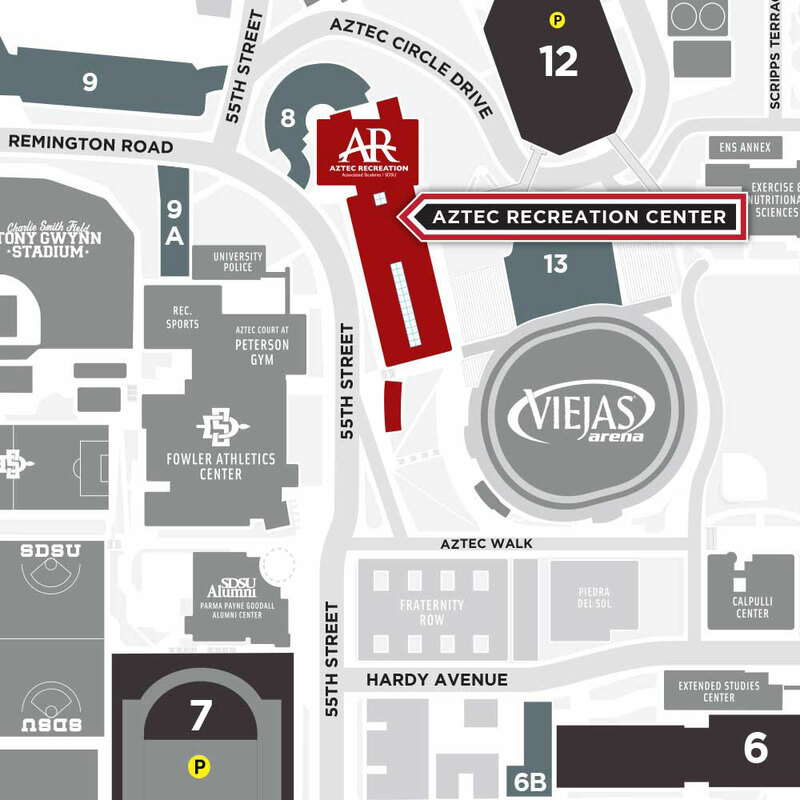 Use the pedestrian bridge on Level 8 for access to the Aztec Recreation Center.